Berwyn, PA, January 22, 2016 — Prepay Nation, a leading provider of cross-border prepaid mobile airtime transfers, has partnered with Vodacom Mozambique to make its mobile airtime top-ups available for purchase anywhere a retail outlet is integrated with Prepay Nation, comprising nearly 200,000 store fronts across North America, Europe and the Middle East. According to 2010 World Bank estimates, Mozambicans emigrants number approximately 1.2 million, with some of their largest diaspora populations living and working in Portugal, the United Kingdom, Germany, the United States and Spain. These expatriates remit millions of dollars’ worth of financial support to their friends and family back home every year, and one of the most popular and affordable methods of sending support is by refilling their loved ones’ mobile phones from abroad. With conveniently placed retail outlets all over the top destination countries for Mozambican emigrants, Prepay Nation anticipates high demand for Vodacom Mozambique airtime top-ups from its partner stores. Vodacom Mozambique is the market leader, with more than 40% market share in the country’s booming mobile telecom sector, and promises to become the most reliable and innovative business partner of choice. The operator’s continuous investment in infrastructure, customer relationships, and innovative services such as this IMTU partnership proves their ambition and vision. “Vodacom Mozambique is a valuable addition to our network of global mobile network operators, and we look forward to many years of bringing their market-leading prepaid mobile products to storefronts around the world,” added VP of Business Development for Prepay Nation, Hervé Perrin. 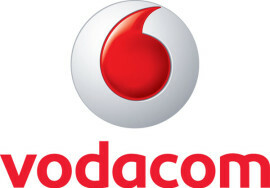 Vodacom’s mission is to bring the best quality of calls, SMS and faster internet to more locations in the country, so that more people benefit from our services and connected anytime and anywhere. When using the best network, the imagination is the limit. For more information, visit www.vm.co.mz.